Among the many developments flagged in Supreme People’s Court (SPC) President Zhou Qiang’s 2018 report to the National People’s Congress is that the SPC will establish an international commercial tribunal (court)(最 高人民法院国际商事审判庭), as approved by the Central Leading Group for Comprehensively Deepening Reforms. The timing is unknown. The international commercial tribunal (this post will use the term “court”) as is understood clearly, must fit political and technical requirements. This blogpost will look at those, particularly the technical ones, as those are the ones that have escaped the attention of most commentators outside of China. Although many articles have been published in the media, both in and out of China after the public announcement to the press about the international commercial court in January, 2018, most of them have little detail on the issues. Some contain uninformed statements, such as the one that quotes an insider at the China Council for the Promotion of International Trade mentioning the use for dispute resolution of “the common law of the United States and European countries” (send the insider back to law school please!). 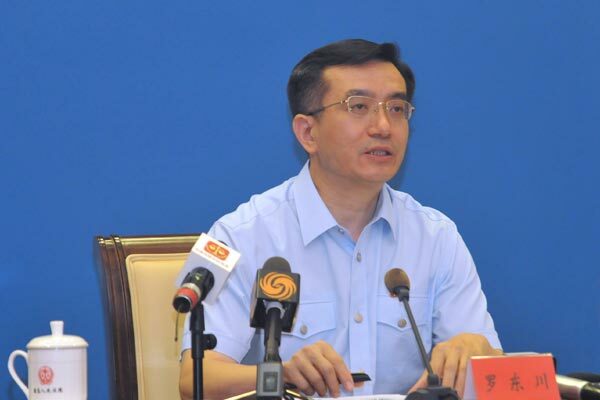 In the past three months, Judge Gao Xiaoli, deputy head of the SPC’s #4 civil division (photo above), and at least one other person at the SPC has released some information about the court, all of which seems to have eluded international discussions. For those who are not aficionados of Chinese foreign-related dispute resolution, Judge Gao (who often appears at UNCITRAL or international arbitration related conferences or seminars) outside as well as inside mainland China, is a formidable presence in the courtroom. Thanks to the SPC’s streaming of court hearings, it is now possible to see that from any corner of the world. She is also an impressive speaker. Judge Gao is representative of the judges engaged in technical legal work at the SPC, with a PhD in law from one of China’s leading law schools and experience studying abroad. More specifically, it appears to be the civil and commercial counterpart to the efforts noted on this blog two years ago (concerning dispute resolution in maritime cases), part of a push to move the locus of China-related dispute resolution from London and other centers in Europe (or elsewhere) to China, where Chinese parties will encounter a more familiar dispute resolution system. The other political requirement relates to the need to serve major government strategies, the BRI/OBOR one in particular, discussed in this blogpost. President Zhou Qiang’s 2018 NPC report, as his 2016 report (and presumably 2017 report) contain the phrase “provided service for the country’s major strategies.” As a central government institution, the SPC must do its part to support national major strategies. Since BRI/OBOR has been initiated, President Zhou Qiang’s report has mentioned BRI/OBOR as one of those major strategies for which the SPC has provided service. speech by Judge Gao and others at a conference in November 2017. SPC’s judicial interpretation on demand guarantees, that blogpost explains that with so many Chinese companies focusing on infrastructure projects overseas, Chinese banks have issued billions of dollars in demand guarantees. Judge Gao mentioned that they at the SPC, too have noticed the worldwide trend of other jurisdictions establishing courts to hear investor-state disputes, citing Canada among them and that they are exploring whether the Chinese courts can do so as well. However, she notes that when China acceded to the Convention on the Recognition and Enforcement of Foreign Arbitral Awards (New York Convention), it made a commercial reservation, and the SPC judicial interpretation concerning the New York Convention excluded investor-state disputes, so that currently it is not possible to enforce investor-state awards through the New York Convention. Judge Gao says they are considering solutions to this issue. Although none of the authors have mentioned this (nor have I, until now), one unrecognized issues in discussing OBOR/BRI disputes is a definitional one–what is a OBOR/BRI related dispute? It seems that in court practice, the definition is broad, including cases between Chinese contractors and their demand guarantee issuing banks, as well as cross border cases involving Chinese and parties located in OBOR countries. In my research (including a discrete inquiry with a knowledgeable person), a formal definition is lacking. As this earlier blogpost mentioned, enforcement of foreign court judgments is on the SPC’s agenda. As Judge Gao recognizes, there needs to be a structure for judgments of this international commercial court to be enforced outside of China. She mentions (as has this blog), that China is actively participating in negotiations on the Hague Convention on the Recognition & Enforcement of Foreign Judgments, and is studying ratification of the Hague Convention on the Choice of Courts Agreements. She flags also (as has this blog) that the SPC is drafting a judicial interpretation on the recognition and enforcement of foreign civil & commercial judgments. Judge Gao mentions that the SPC is looking at the international commercial courts in several jurisdictions, including Dubai and Singapore (as mentioned in the earlier blogpost), but also Abu Dhabi, London’s Commercial Court (it appears that someone at the SPC has read this Financial Times article on foreign litigants there), and notes that the Netherlands, Germany, and Belgium are all establishing international commercial courts that use English. Judge Gao forthrightly flags a list of issues (my comments in italics) that the SPC faces in establishing an international commercial court. It is likely that she and her colleagues are aware of the additional issues raised as well. judges; she notes that Dubai and Singapore have foreign judges on their international commercial courts, but currently China’s Judges’ Law and People’s Court Organizational Law (being amended) present obstacles to having foreign judges, and without them, the court will not be international and will not be internationally credible (literally, be internationally influential) (但是如果不引进外籍专业性人才参与国际商事法庭的建设，则缺乏国际性，缺乏影响力). My earlier blogpost mentioned the nationality issue. Would qualified foreign judges (or those from Hong Kong) be willing to join the international commercial court? Judge Gao does not mention that the group of Chinese judges qualified to hear these cases is not that large, and they are overloaded with cases, judicial interpretation/other guidance drafting, and other work. Could highly qualified Chinese lawyers be appointed to this court? It is unclear, and relates to issues of how they would fit into the rigid structure of the judiciary, highlighted here. choice of law; she mentions that parties have freedom concerning choice of law in China, so that would not be a problem. However, relating to choice of court clauses, Professor Vivienne Bath’s research on parallel proceedings in China (previously mentioned on this blog) shows that Chinese courts do not recognize the validity of those clauses when the choice “lacks an actual connection with the dispute” because of provisions in the Civil Procedure Law. procedure; she queries whether there can be some breakthroughs in civil procedure in this area. Foreign lawyers are likely to query whether this could mean better discovery of documents. More importantly, what is not mentioned is that China’s failure to have acceded to the Hague Convention Abolishing the Requirement of Legalisation for Foreign Public Documents will also be a major obstacle for the international commercial court. Under current Civil Procedure legislation, notarization and legalization of documents is often required. The first step is when a party files suit or when a foreign party responds. Additionally, in litigation, evidence from a foreign country often must be notarized and legalized. Notarization and legalization costs time and money and a great deal of effort. At an academic conference in 2017, experts from the institutions involved discussed how to proceed on this. language; Judge Gao notes that the Civil Procedure Law puts obstacles in the way of the international commercial court hearing cases in English. Note that the pool of Chinese judges able to hear cases in English is not large, and would even further require recruiting judges from outside China’s judicial system. counsel; She mentions the issue of having foreign lawyers handle cases is also an obstacle for the international commercial court, because China’s Civil Procedure Law currently does not permit it. transparency; Judge Gao notes that Chinese judicial transparency and informatization has made great strides, so should be useful to the international commercial court. However, Judge Gao and her colleagues could usefully look at the type of information accessible to both the parties and general public (and the level of detail in judgments) in other international commercial courts. enforcement; Judge Gao raises the issue of recognition and enforcement of judgments, discussed above. Where does the SPC go from here? The article by the post-doctoral student Liao Yuxi suggested that the SPC may want to request the NPC Standing Committee authorize it to suspend some of the problematic provisions of the Civil Procedure Law that Judge Gao flagged above, such as the use of language, and the qualification of judges. However many of the other issues cannot be resolved so easily, such as international enforcement and the requirement of notarization and legalization of evidence. As for when we can expect to see some rules relating to the international commercial court, and whether drafts will be circulated for public (or even soft consultation), those are all unclear. 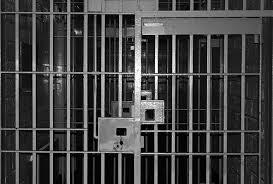 What is clear is that many complicated legal issues face Judge Gao and her colleagues. In February, 2017, the Supreme People’s Court (SPC) issued its second judicial transparency white paper, giving the official version of what the SPC has done to respond to public demands for greater transparency about the Chinese judicial system. But what are the voices from the world of practice saying? One of the issues (for a small but vocal group, foreign litigants) is inconsistent and non-transparent formalities requirements. Chinese civil procedure legislation requires a foreign litigant to notarize and legalize corporate documents, powers of attorney & other documents. It is a time consuming and costly process, with some jurisdictions providing documents that do not meet the expectation of Chinese courts. 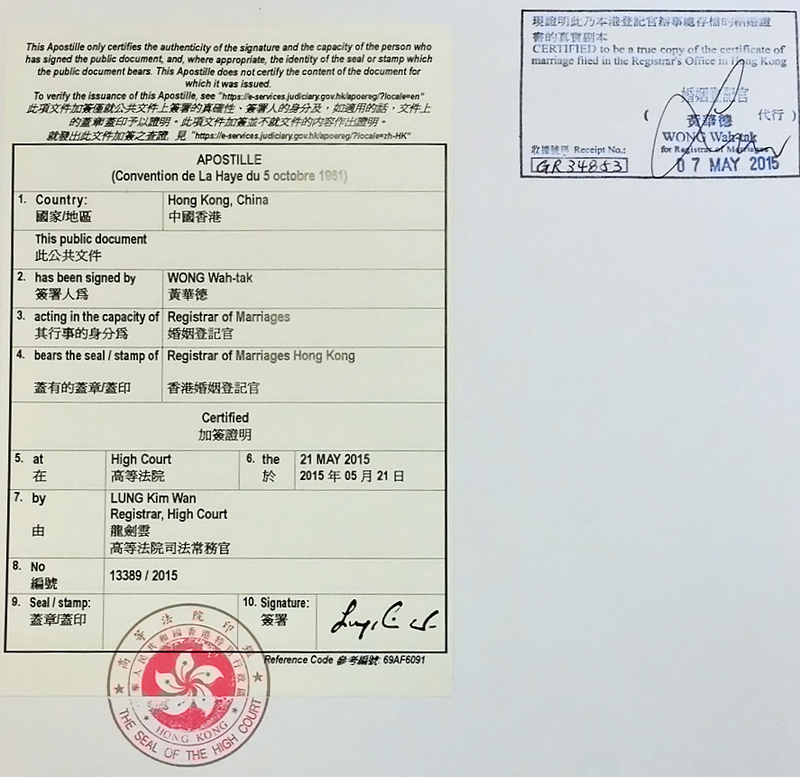 China is not yet a signatory to the Hague Convention Abolishing the Requirement of Legalisation for Foreign Public Documents (Hague Legalization Convention) which substitutes the faster and cheaper apostille process (note that Hague Legalization Convention continues to be applicable to Hong Kong and Macau under the terms of the joint declarations and Basic Laws for each Special Administrative Region (SAR)). About one year ago, a Ministry of Justice official published a Wechat article discussing the benefits of the Hague Legalization Convention (as well as the issues facing China in implementing it). While this article addresses issues faced by foreign plaintiffs seeking to challenge Trademark Review and Adjudication Board decisions in the Beijing Intellectual Property Court (Beijing IP Court), according to other practitioners (who have asked not to be identified), these problems with inconsistent (and non-transparent) requirements concerning legalizing foreign corporate documentation are not limited to the Beijing IP Court, but face foreign parties appealing from intermediate courts to provincial high courts elsewhere in China. These requirements can have the effect of cutting off a party’s ability to bring an appeal, for example. What is the solution? 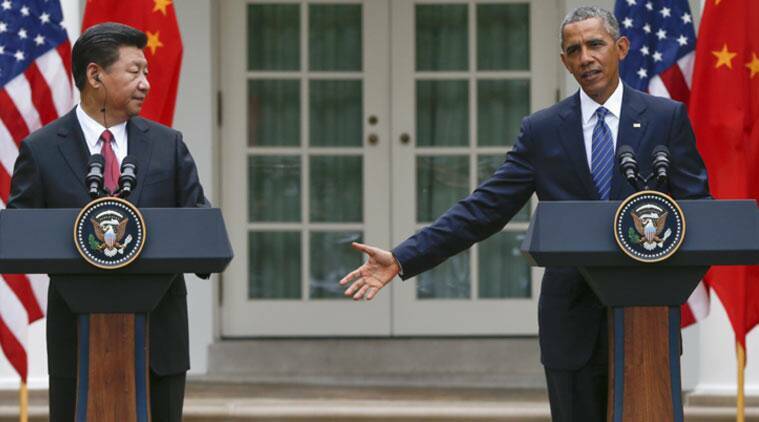 The long-term solution, of course, is for China to become a signatory to the Hague Legalization Convention. In the meantime, Chinese courts should be more transparent about their formalities requirements. These requirements affect all foreign parties, whether they are from One Belt, One Road (OBOR) countries or not. If China is seeking to become an international maritime judicial center or hear more OBOR commercial cases, the Chinese courts need to become more user friendly. Courts with significant numbers of foreign cases (Beijing, Shanghai, Shenzhen….) can consider reaching out to the foreign chambers of commerce, many of which have legal committees, to understand in greater detail what specific problems foreign litigants face (and convey their views to foreign audiences). Resolving this issue can create some goodwill with the foreign business community with relatively little effort. Shanghai Maritime Court established a judicial translator team, aiming at having a bigger say in global judicial disputes and fostering judicial talents with a global vision. 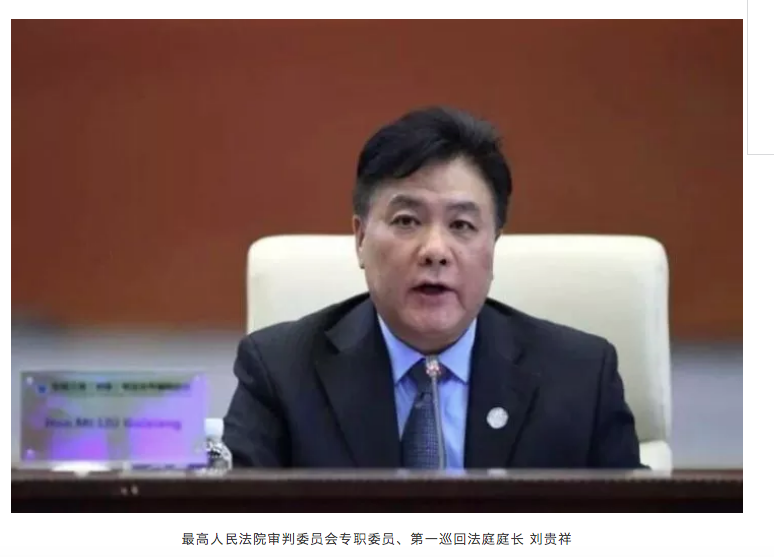 “Establishing a professional translator team for maritime judiciary centers is a goal for building a global maritime judicial center,” said Zhao Hong, president of the Shanghai Maritime Court. “It is aiming to serve a maritime powerhouse and laying a solid foundation for China’s Belt and Road initiative,” Zhao said. A quick rating of the soft power of these English language websites follows below. The SPC English website, while an improvement over the previous version, could be substantially improved. Too much of the information is out of date, including much of the information on the landing page of the website. The “About” section, which could be useful to foreign courts, diplomats, journalists, researchers, students, etc. has an outdated description of the SPC leadership. In the section on Resources, the SPC white papers are published as separate pages, rather than as one downloadable PDF (as some of the Chinese maritime courts have done). The scheduled hearings section is generally out of date and also provides no information as to how an interested person would attend a hearing. The link to issues of the SPC Gazette only contains the first two pages, rather than the full issue itself. Moreover, the landing page lacks links to other English language court websites. China Maritime Trial: http://enccmt.court.gov.cn/chinamaritimetrial/index.html, the English language version of the national maritime court website (partial screenshot below), apparent partner to the Foreign Related Commercial website (similar look and feel) seems to be in beta mode. Again, as with the national court website, the news on most of the landing page appears to be outdated. The white paper page does not enable the user to download a PDF version of the report providing an overview of the first 30 years of the maritime courts. Under the resources tab, under law & regs, are links to translations of SPC judicial interpretations relating to the maritime courts, but it is not apparent to anyone looking at the landing page. These translations are potentially a useful resource to all sorts of foreign readers. Under the resources tab, the cases menu is empty. The judgement tab links to translations of some judgments and rulings by the SPC and maritime courts, but without any headings or indications on the front page of the website. These translations, too, are potentially a useful resource to foreign users. It does have links to the other maritime courts (some of which have English websites, but some of the links are out of date. China Foreign Related Commercial Trial: http://enccmt.court.gov.cn/ChinaForeignRelatedCommercialTrial/index.html , the English language version of the national foreign-related commercial cases court website (partial screenshot below),apparent partner to the Maritime Courts website (similar look and feel) seems to be in beta mode. Again, as with the national court website, the news on most of the landing page appears to be outdated. Under the About tab is a list of courts that can accept foreign-related cases, but information about the jurisdiction of each court is missing. Under the Media Center, most of the information under Updates is irrelevant to the courts, the information under International Exchanges is missing, but the Specials has a translation of the SPC’s Belt & Road policy document (although followed by descriptions of the SPC’s cooperation with several Shanghai-area law schools). There is no content under the Resources tab or the Judgement tab. Translations of judicial interpretations related to foreign-related civil and commercial issues and a clearer explanation of how a foreign-related case progresses in China would be useful for the casual foreign user, including those from the Belt & Road countries. Relatively few Chinese courts seem to have English language websites, but the Shanghai high court (http://www.hshfy.sh.cn/shfy/English/index.jsp) has one of them. The Shanghai Higher People’s Court website is well organized, and relatively timely, although the litigation guide has little information to guide the foreign litigant, and too much of the information, whether cases or news, is badly edited. The information on jurisdiction is not very helpful for a litigant or counsel, because it does not convey information on the jurisdiction of the Shanghai courts. It appears that translators lacked understanding of who the potential users of the site were, and had English language challenges, unlike the Shanghai maritime court (see more below). Several maritime courts have English language websites, with Guangzhou and Shanghai taking the lead in presenting useful and clear information to the foreign user. 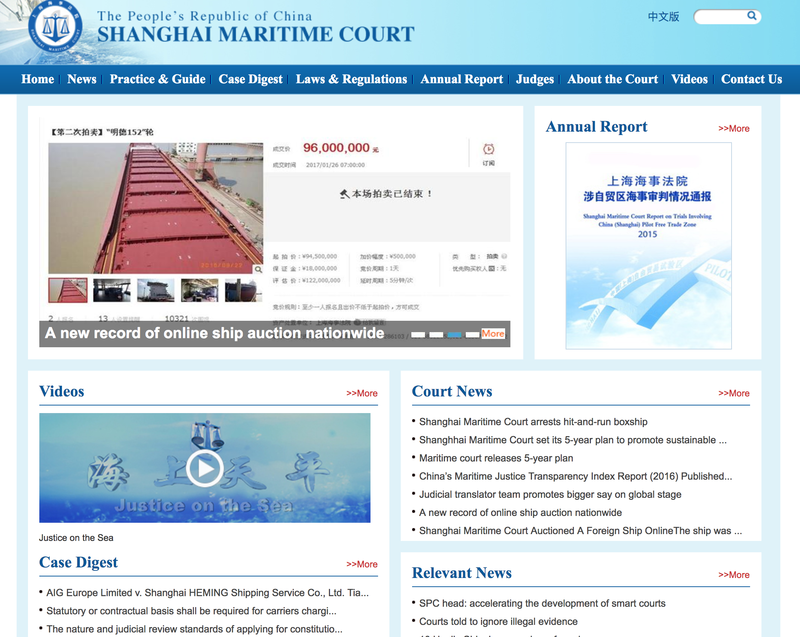 The Shanghai maritime court website (http://shhsfy.gov.cn/hsfyywwx/hsfyywwx/index.html) does a good job of presenting official information clearly and in a timely manner. The Shanghai maritime court’s bilingual white paper for 2014 and 2015 is downloadable in PDF (under the Annual Report tab), the Court News is relatively timely, The case digests are useful and calendar lists upcoming court hearings (however without information concerning how an interested person could attend them). Unusually for a Chinese court website, the Judges tab has photos of judges other than the senior leadership. The Contact Us tab (unusual for a Chinese court) has only telephone numbers for the court and affiliated tribunals, rather than an email (or Wechat account). Of course the information on the Chinese side of the website is more detailed (under the white paper tab, for example, a detailed analysis of annual judicial statistics can be found), and the laws & regulations tab might usefully set out maritime-related judicial interpretations, but most of the information is well organized and relevant. Similar comments can be made about the Guangzhou maritime court’s website (http://english.gzhsfy.gov.cn/index.php). It appears that Judge Zhao Hong, president of the Shanghai Maritime Court (and former SPC #4 Civil Division judge) and her Guangzhou counterpart, Judge Ye Liudong, have a greater sense of what the world outside of China is interested to know about the Chinese courts than many other Chinese senior court judges. The team of judges (and other judicial personnel) under her watchful eye does a good job of keeping the website current and useful. Most of the court English language websites should be rated “room to improve,” as they fail to convey useful and timely information to foreign users.Those running the website do not seem to have a sense of what the foreign audience wants to know. That could be solved in a couple of ways: looking at some foreign court websites, consulting with a web-development company focusing on the foreign market, or recruiting some foreign lawyers or law students to be a website focus group. The websites need to convey to a foreign audience a range of useful information worded in accessible language if they are to accomplish their goal of promoting the image of the Chinese courts. One useful piece of information that should be on a Chinese court website is a clear illustration of the steps in a civil or commercial case), aimed at individual or small business litigants. How foreigners can use the Chinese courts to protect their rights, be they related to a contract, property, or employment relationship, is a practical issue both to the hundreds of thousands of foreign residents in China as well as those foreigners with cross-border disputes with a Chinese party. Zhou Qiang called on the lower courts to work better on bankruptcy cases, give full play to the role of the information network of bankruptcy and reorganization of enterprises, actively and safely deal with “zombie enterprises”, to optimize the allocation of resources to resolve the excess capacity. But actually, bankruptcy cases remain fraught. 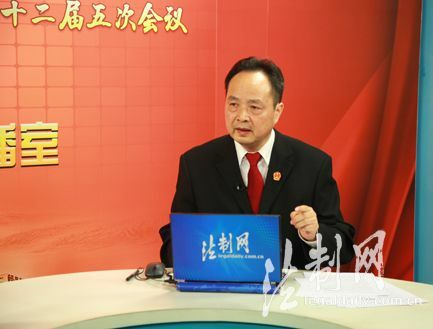 According to SPC Senior Judge Du Wanhua, charged with making bankruptcy law work better, in China bankruptcy requires a unified coordination mechanism with government and courts, under Party Committee leadership. In recent high profile corporate bankruptcies, such as LDK Solar, the local governments say that they cannot afford to rescue the companies, and so the burden must fall on creditors. The LDK case has drawn complaints from bankruptcy practitioners that the local government-led restructuring was designed to force banks to swallow the losses. Another lawyer commented that local governments’ intervention in bankruptcy cases has often disrupted their fairness. It is likely that we will see more developments in 2017 concerning bankruptcy. We should have the courage to correct a number of mistaken cases concerning infringement of property rights. Notice on Standardizing Enforcement Acts in Enforcement to Actually Protect the Property Rights and Interests of Parties 最高人民法院关于在执行工作中规范执行行为切实保护各方当事人财产权益的通知. courts failing to hear disputes between government and entrepreneurs fairly. 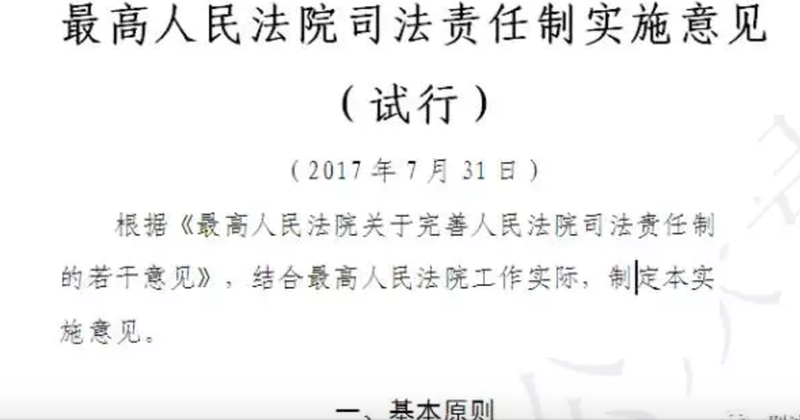 The first document (apparently drafted by the SPC Research Department, because its head explained its implications at the press conference at which the first two documents were released) repeats existing principles that state-owned and private litigants, Chinese and foreign litigants should be treated equally. It repeats existing principles that public power must not be used to violate private property rights. 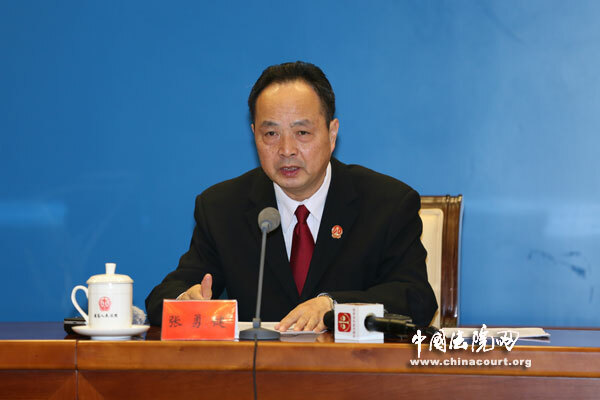 The Historical Property Rights Cases Opinion (apparently drafted by the SPC’s Trial Supervision Division, because its head explained its implications at that press conference) calls on provincial high courts to establish work groups to review mistaken cases and to avoid such tragedies in the first place, focusing on implementing the regulations restricting officials from involving themselves in court cases and the judicial responsibility system. The third document seeks to impose better controls on the use of enforcement procedures by the lower courts. It is hoped that these documents can play some part in improving the quality of justice in China, despite the difficulties posed while the local courts remain under local Party/government control, and may lead to the release of unfairly convicted entrepreneurs and the return of unfairly confiscated property. Perhaps these documents may provide some protection to local judges seeking to push back against local pressure. On the historical cases, the SPC Supervision Division should consider appealing to current or retired judges who may have been involved in these injustices to come forward (without fear of punishment), as they likely to be able to identify these cases. A defined role for lawyers would also be helpful. articles such as this one describing Chinese entrepreneurs as either in jail or on the road to jail. This section repeats many of the themes highlighted in the SPC’s earlier pronouncements on One Belt One Road (OBOR or Belt & Road), the maritime courts, and foreign-related commercial developments. The Chinese courts continue to grapple with the increased interaction and conflicts with courts in foreign jurisdictions. The OBOR jurisdictions are handicapped by a dearth of legal professionals with familiarity with the Chinese legal system. We should expect to see more developments directly or indirectly linked to OBOR, including a more standardized approach to the judicial review of arbitration clauses. cases involving people’s livelihood, increasing the recourse of migrant workers and other cases of wage arrears. These are all ongoing, difficult issues for the courts. Legislation does not demarcate clearly the line between legal and illegal forms of financing as discussed here. Migrant workers, particularly in the construction industry, are often not hired under labor contracts but labor service contracts, which reduces their entitlements under the law. As the Chinese economy continues to soften, it is likely that complex real estate disputes (of the type seen in 2015) will burden the lower courts. We are likely to see further developments in these areas. President Zhou Qiang told the courts to make good use of judicial “big data” to detect trends and issues so the courts can put forward targeted recommendations for reference of the Party committee and government decision-makers. He has made this point repeatedly recently. 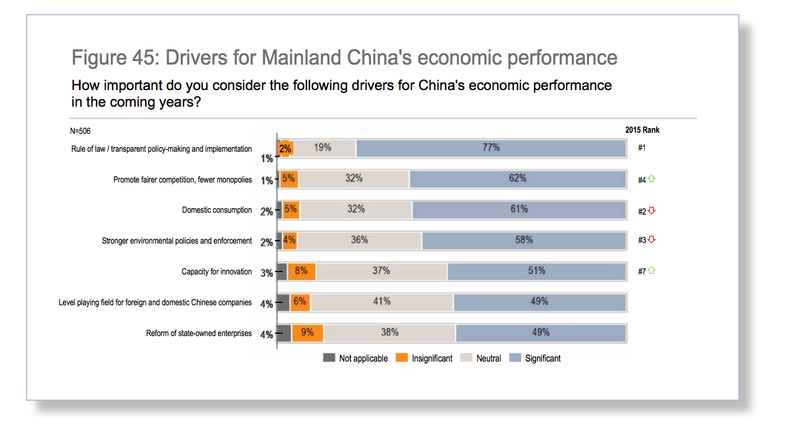 For foreign observers of China, judicial big data is in fact a useful source of indicating trends across the Chinese economy, society, and government. This blog has flagged some analyses, but there is much more than can and should be done. 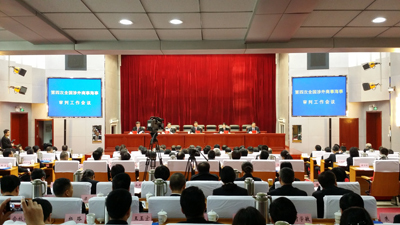 The Supreme People’s Court (Court) recently held its 4th National Work Conference on Foreign-Related Commercial and Maritime Adjudication (4th National Work Conference) in early November, shortly after the 4th Plenum. This is a conference that the Court organizes occasionally for judges hearing commercial and maritime cases involving foreign parties. The Court uses work conferences to transmit the latest central legal policy, harmonize court practices consistent with those policies, and find out what the latest difficult legal issues are. (This is a practice similar to other Party/government agencies). ensure that the courtroom hearings play a decisive role. Correctly applying international treaties and governing law principles. Safeguarding national rights and interests. “Foreign-related” is a concept of many years standing that means that a foreign element is involved, because of a party’s nationality, location of the property disputed, or other factors (as explained here).The concept of “foreign-related” further relates to other important questions, such as selecting arbitration outside of China and foreign governing law. Following national work conferences, the Court often issues follow-up “Conference Summaries” to guide the lower courts on the agreed upon approach to new or contentious issues. These do not have the status of a judicial interpretation but courts refer to them when deciding cases. According to Court rules, courts can cite judicial interpretations (but not Conference Summaries). It doesn’t seem that the Conference Summary has yet been issued. In China, 203 intermediate and 204 basic level courts have jurisdiction over first instance foreign-related cases. In the period 2010-end June 2014, the Chinese courts heard 287,262 first and second instance cases foreign-related maritime and commercial cases, an increase of 41% over the previous period. The cases are mostly heard by courts in coastal areas, but as foreign investment goes inland, disputes inevitably follow. Following the Work Conference, Judge Luo Dongchuan, head of the #4 Civil Tribunal of the Court, was interviewed by Legal Daily. Judge Luo mentioned many important future legal developments, highlighted below. Restricting parties to litigation from leaving China (Chinese legislation on these procedures is difficult to parse (see my earlier article on this subject and another related one). The Court is considering establishing maritime circuit courts, to deal with disputes arising inland arising from logistics cases in the maritime courts. The Court intends to promote the maritime courts and a forum for hearing cases involving maritime pollution from on-shore sources (the largest source of maritime pollution China). The Court is looking into reforming the maritime court’s jurisdiction, so that it will have jurisdiction over civil, criminal, and civil maritime cases. Judge Luo emphasized that the Court supports arbitration. Because arbitration is so important, the Chinese courts will try to uphold the validity of vague [poorly drafted!] arbitration clauses. A new judicial interpretation on the judicial review of arbitration-related issues will go into the Court’s judicial interpretation drafting plan in 2015. 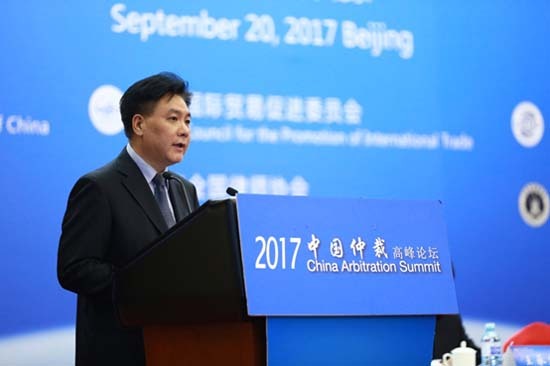 The Court intends to reform jurisdiction in judicial review of arbitration issues, to consolidate them in specialized courts, expanding the pilot projects underway in Guangdong, Inner Mongolia, and elsewhere (as designated by the Court. Earlier this year, the Guangdong Higher People’s Court published a report on its experience so far. The Court is considering establishing an electronic platform for foreign-related cases. This may relate to making litigation procedures for parties more transparent. Issue more draft judicial opinions for public comment and give the public (foreign and Chinese) a more sensible time period to comment, particularly for draft regulations relating to any of the issues discussed above. The issues mentioned above are very important to the foreign business and legal community. The current 30 day time period extremely short by international standards. Given the opportunity, international and foreign organizations and law firms will comment, but it takes time for translation and busy lawyers and other legal professionals to make comments. Consider what can be done to make the Chinese courts a more user-friendly forum for international commercial disputes. For example, consider what is needed for China to become a party to the Hague Convention on the Legalization of Foreign Public Documents (which will involve reforms by multiple government departments) and other related conventions. The current system of legalization of foreign evidence is difficult for foreign parties and puts the Chinese system behind the 107 countries in the world that are signatories).